This was my first uke purchased from the Southern Ukulele Store in Bournemouth for my birthday back in 2013. What attracted me was the reviews that Ohana were getting and that this particular uke was in the traditional “pineapple” body shape. It’s a soprano shape which is small and is traditionally the size associated with the “ukulele” sound especially when tuned to high G. Most people would have probably gone for a Makala Dolphin as a “starter” uke but I normally prefer a better quality of instrument. 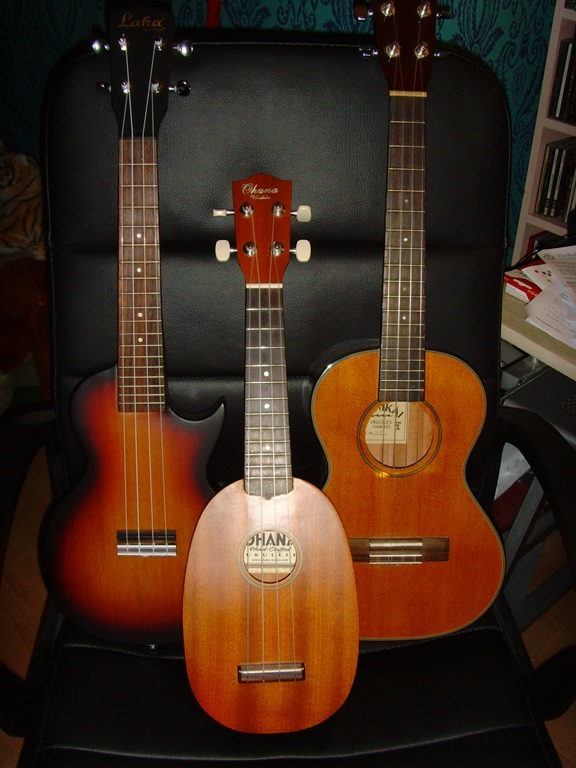 Being one of the cheapest ukes they sell it is constructed of mahogany faced laminate with a nice satin finish. The only real thing that lets this down was the high action at the nut. Someday I’ll treat myself to some nut files and have a go at correcting this which should improve its playability. This model is no longer available and has now been superseded by an all sold mahogany one instead. There are similar models to this made by Makala. 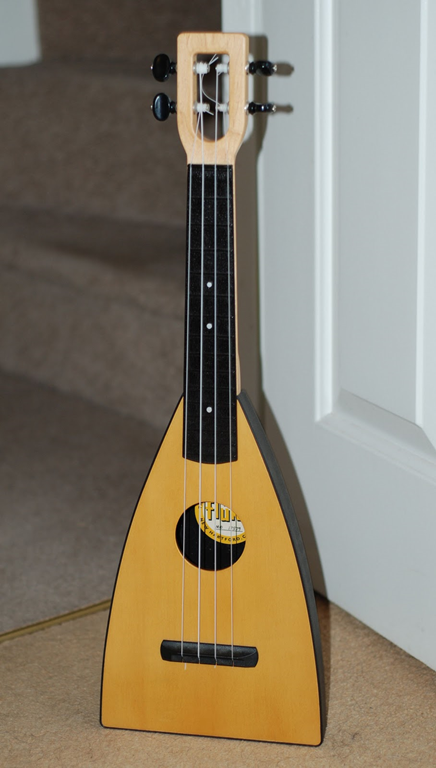 Just before Christmas I had been looking on the Bay of E for an electric uke. I’d head about the Eleukes (made in the US) and tried bidding on one, but sadly went out of my price range. While looking around I came across the Laka and for £30 it seemed like it was worth a punt. I’ve written a more detailed review HERE so I’ll just cover the basics here. It’s a concert size (the next size up from a Soprano) solid mahogany uke in the style of a Les Paul only much smaller (and cheaper). It’s a quite well put together uke and makes for a great late night jam session when the mood takes me. Well what can I say this was my Christmas present to me! After playing a Soprano uke for a while I found that some of the chord fingerings were a bit hard to do due to the smaller spacing between the frets. 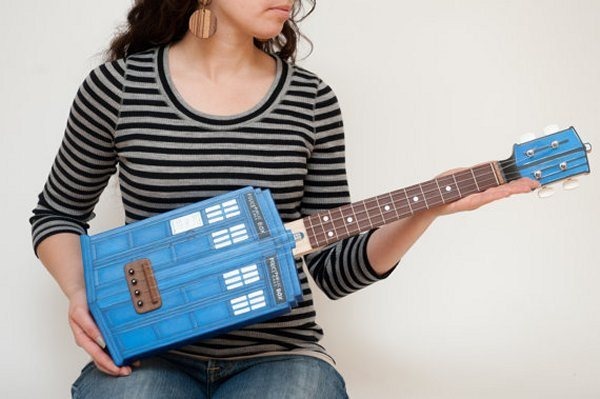 Being accustomed to a guitar fretboard I was looking for a uke with a bit more “finger room”. I picked this up second hand at Forsyth’s in Manchester. They had a nice selection of ukes of differing sizes unlike Hobgoblin Music on Oxford Road (used to be Johnny Roadhouse’s in the past) which was quite poor by comparison. I spent the best part of an hour comparing this uke to an Antonio Carvahlo Deluxe Tenor which cost twice as much. Somehow much as I liked the Carvahlo I kept coming back to the Lanikai. The Lanikai is a Tenor scale uke with a solid spruce top and mahogany sides and was finished in a gloss lacquer. The tone of the uke was bell like most likely a result of the spruce top and it‘s a pleasure to play!